Frayed or worn out electric chords, wet floors, fireplaces without mesh screens, and smoking in bed are some safety hazards at home that are easy to identify and fix. However, another hazard is lurking in our homes, invisible, and far more dangerous. Recently, Walker Sandford, a property management firm in Glasgow, Scotland threw light on the dangers of carbon monoxide poisoning at home. According to an official press release, “Over 30,000 people have been affected in the UK by Carbon Monoxide (CO) since 2005.” Company founder, Paul Walker, terms the gas as, “UK’s most common poison,” which is responsible for around 50 unintentional deaths every year. Incomplete combustion of any fuel such as gas, kerosene, oil, propane, natural gas, wood, or charcoal results in carbon monoxide emission. Stoves, cars, lanterns, gas ranges, portable generators, lawn mowers, power washers, heating systems, etc. are the common sources of CO in and around our homes. Carbon monoxide can build up to alarming concentrations indoors, when ventilation is inadequate and fuel-burning devices are improperly maintained. Check that your gas equipment carries the seal of a national testing agency, such as the CSA Group. Install and operate appliances according to the manufacturer’s instructions and local building codes. Ensure yearly servicing of your heating system, chimneys, water heater and any other gas, oil, or coal burning appliance by registered technicians. Do not block ventilation. Keep sources of ventilation free from vegetation. Avoid using portable flameless chemical heaters (catalytic heaters) and charcoal grills indoors. If you detect an odor from the refrigerator’s cooling unit, get it serviced immediately. 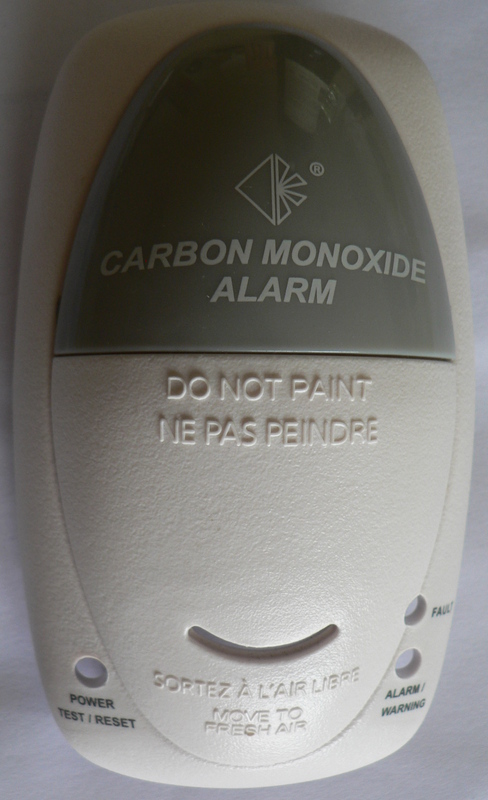 Install a carbon monoxide detector/audible carbon monoxide alarm at your home. A CO alarm that meets the requirements of current UL 2034 safety standards, works best. California is one of the 25 US states that requires residential buildings to have carbon monoxide detectors installed. Texas requires carbon monoxide detectors in many day care centers, family home groups, and day care homes. Connecticut and Maryland require carbon monoxide detector installation in schools. Virginia allows tenants to install carbon monoxide detectors in rental properties if they feel it is necessary for their safety. Call 911 or your local fire department. Ensure that everyone is out. Do a head count to check that all persons are accounted for. DO NOT reenter the premises until emergency services responders have given you permission. You could lose consciousness and die if you go inside the home.